Working with refugees is heartwarming & rewarding! Many people at St. John’s take part in our ministry’s activities. Ask any parishioner who has worked with our ministry why they do it, and the words “rewarding” and “service” frequently come up. SJRM works with Refugee Services of Texas to help refugees coming to Austin to find a welcoming place, friendly faces, support, and friendship. Some donate items at the time we welcome new refugees, others bring items to store in our shed until the next refugees arrive. Some people donate money to the ministry by writing“Refugee Ministry” in the memo line. Some people help us set up new refugee housing. Some people come to the airport to welcome new families. Some people keep close contact with families and have befriended them. How can you take part in this ministry? Respond to donation, transportation, or other refugee related posts on Facebook or in email. We have no minimum requirements for participation. Minimal: Making donations of items or donating money can happen at any time of the year and no extra time is needed. Seasonally: We have a lot of things going on as we prepare to welcome new families. Making donations of items, setting up an apartment, welcoming families, can take an hour or two, or as much time as you can give. Providing transport: When families first come, they have many appointments to go to, and if they don’t have friends or family here already, they need help getting to their appointments. It helps to have volunteers on call for transportation when families first arrive. 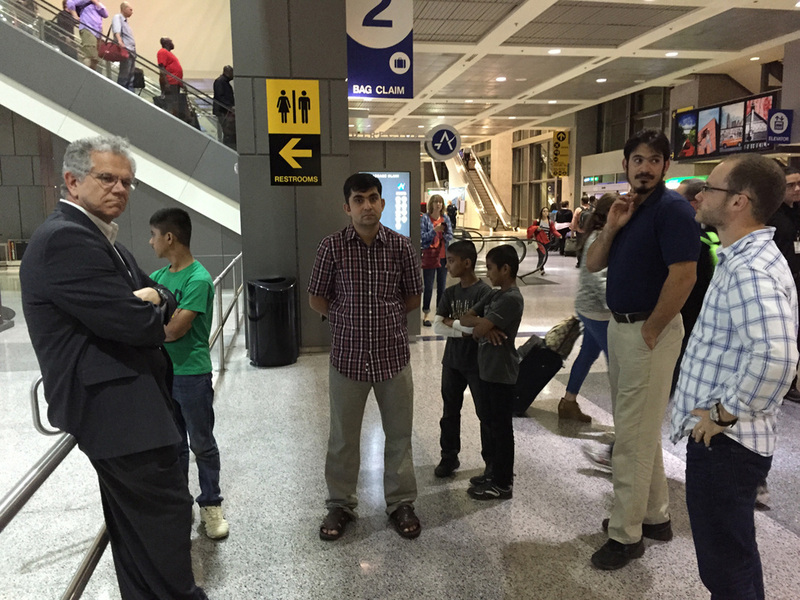 Ongoing: Many of us keep in touch with the families even after Refugee Services of Texas has stopped working with them. We choose to befriend the families we support, going beyond what is expected. We build relationships, socialize, visit, and chat with our friends from abroad, continuing to lend a helping hand as needed and celebrating new achievements with them.